Karen Lomas is dedicated to guiding businesses, families, and individuals with the accumulation and preservation of wealth through comprehensive fi­nancial planning and retirement strategies. Karen Lomas uses her knowledge and experience in combination with the expertise of a team of specialists available at Tax & Financial Group (TFG). Together, they provide innovative solutions and professional direction to help clients work towards their ­financial goals and objectives. Karen received her Bachelor of Arts Degree in Business Administration from California State University Fullerton, as well as an MBA from the University of California, Irvine with an emphasis in Finance and Strategy. Karen is a Registered Representative and Investment Advisor Representative of Securian Financial Services, Inc., member FINRA/SIPC. Prior to joining Tax & Financial Group (TFG), Karen spent 8 years in management prior to joining Tax and Financial Group. 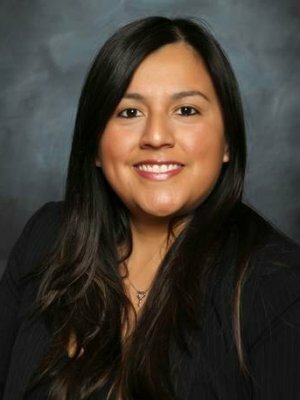 Karen is a proud Ambassador for the Pico Rivera Chamber of Commerce, the Santa Ana Chamber of Commerce, as well as a member of the Santa Fe Springs Chamber of Commerce. In addition to community involvement, Karen is also an active member of the Education, Scholarship and Philanthropy committee for the Harbor Association of Industry and Commerce. dirección profesional para ayudar a los clientes a trabajar para alcanzar sus metas y objetivos nancieros. Financial Group (TFG), Karen pasó 8 años en la administración. Filantropía de la Asociación de Industria y Comercio de Harbour. with a Company contract or insurance.